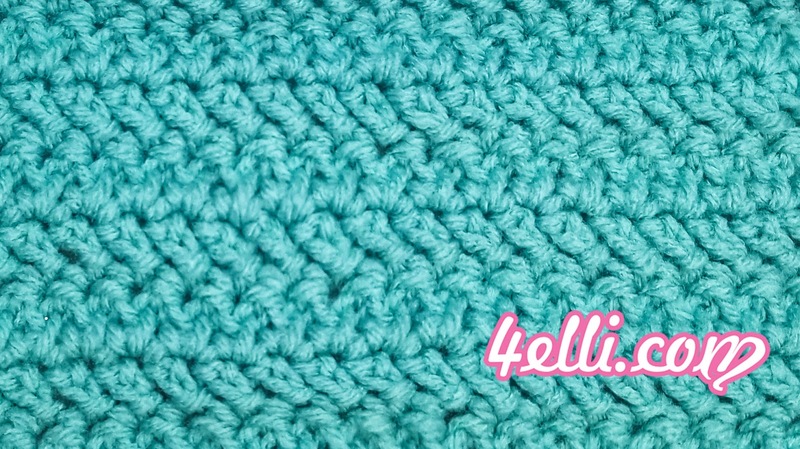 How to crochet the herringbone double crochet stitch!!! this pattern is worked over a multiple number of 1 stitches plus 1.
for this sample start with chain 21. Row 1: (yarn over and insert the hook into the 3rd chain from hook, yarn over and pull through a loop(3loops on hook), pull the 1st loop through the 2nd (2loops on hook), yarn over and pull through 1 loop (2loops on hook), yarn over and pull through all 2 loops) 1 herringbone dc made. Keep working 1 herringbone dc in each chain across until the end of row. Row 2: chain 1, turn, 1 herringbone dc in each stitch across. 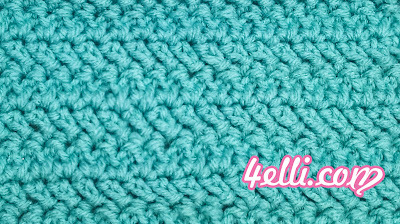 please watch my free video tutorial witch shows you how to make the herringbone dc stitch step by step!